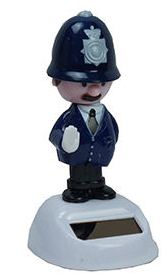 We think we got these solar-powered British bobble-head figures because the sun doesn’t shine enough to make them bobble back home. 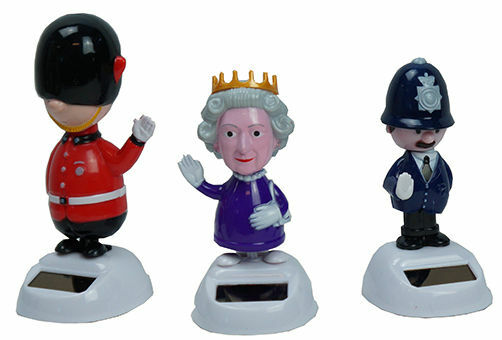 They’re all 4” tall and include a British Bobby, Beefeater, and Betty herself, Queen Elizabeth II. They stand on 2-3/8" x 2-1/8" bases with 1-1/4" solar cells. We’ll send you (2) different ones in your order. 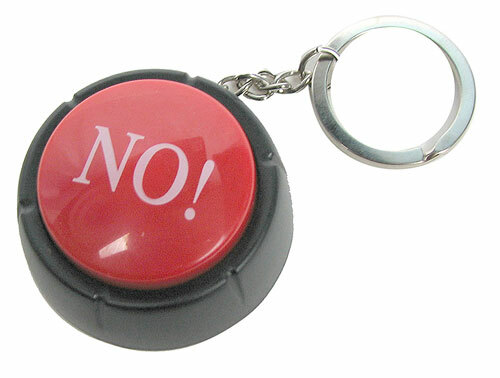 Managing people will be so much easier with this pocket sized red NO! button on your keychain. 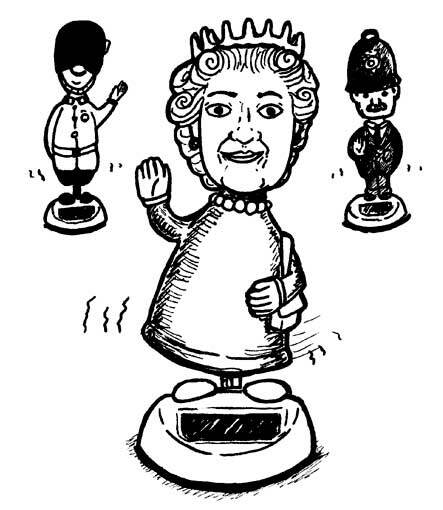 Push it and hear a digital voice deliver (10) different versions of no, including No! ; No, No, No; Noooooo; For the last time, NO! ; and more. 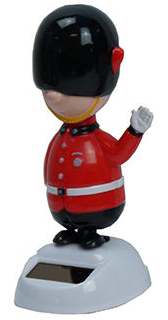 Great for denying tasks at work, and later-bedtime requests at home. (Remember--you can always change your mind to Yes, but going the other way never works.) Measures 1-3/4"" dia. x 1" tall in red with a black frame. Batteries included! Or the Swanee whistle. Whatever you call it, this little slide whistle (just consider it the smallest trombone in the universe) has an outsized musical history. No elevator has ever fallen in a cartoon without its accompaniment, and no jug band is complete without one, but Louis Armstrong also played one on his Hot Five recordings, and Ravel even required one in an opera score. 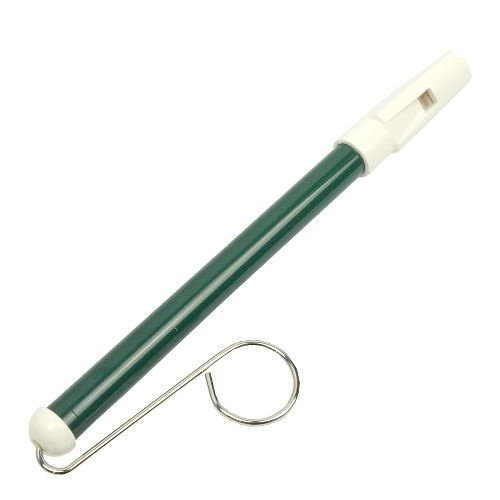 In assorted plastic colors with a steel slide, 6-7/8" long x 1/2" dia. 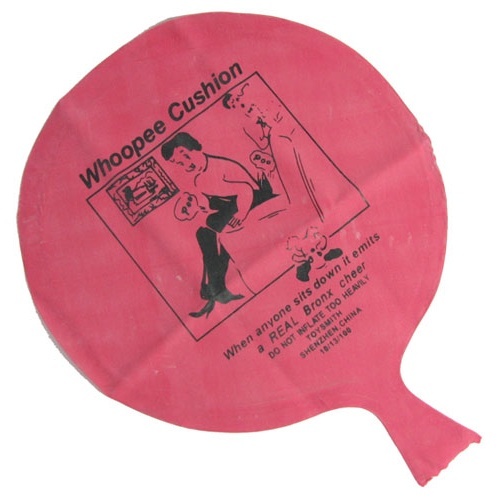 is best done with the sacred mother of all novelty items, the original Whoopee Cushion. Marlon Brando owned one. Of course he did, they're both American classics, except the cushion was born in Toronto. Ours is the classic 8" version. 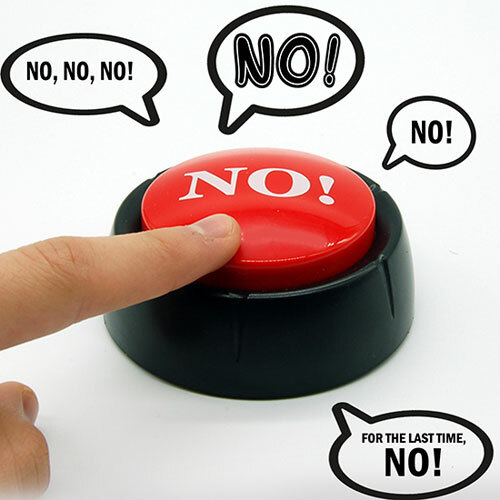 Managing people will be so much easier with this giant red NO! button on your desk, or at home. Push it and hear a digital voice deliver (10) different versions of no, including No! ; No, No, No; Noooooo; For the last time, NO! ; and more. Great for denying tasks at work, and later-bedtime requests at home. (Remember--you can always change your mind to Yes, but going the other way never works.) Measures 3-1/2" dia x 1-1/2" tall in red with a black frame. You add a pair of "AAA" batteries. Check out our keychain version! Same great sounds in a mini version. 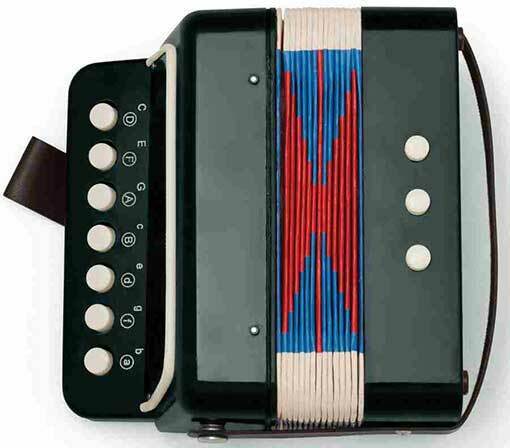 Because it’s a squeezebox, a toy(ish) accordion with (7) bisonoric melody keys and (2) chordal keys, plus (1) to release the bellows. Measures 7-1/4” x 7” x 4-1/4” with thumb and hand straps, plus a strap to keep it shut between performances. Perfect for budding, one-kid bands or, in bulk, for starting an accordion orchestra to compete with all of those annoying ukulele players. Wanna Tie A Banana In A Knot? 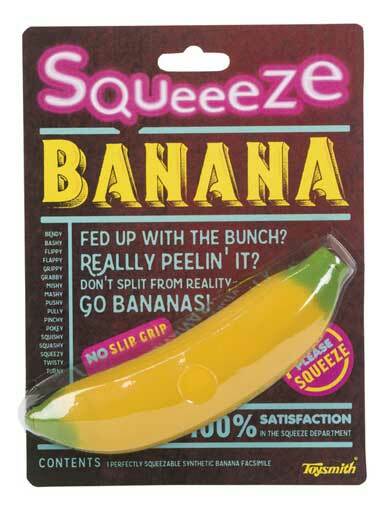 It’s a proven stress reliever, banana knotting, and you can participate with our mega-squishy stress banana. Measures 6” long but will stretch to a couple feet. Filled with stress-relieving gel beads, and will take a good long time to return to its original banana shape, which just adds to your relief. It could have been called an Alabama Buzzer after Alabama Vest, the man who invented it. Or a Clegghorn, after Thaddeus Von Clegg, the clock master who fabricated the first one. But the hand-crafted 4-3/4" long steel instrument was a simple amusement, and the 1840s were a simple time. 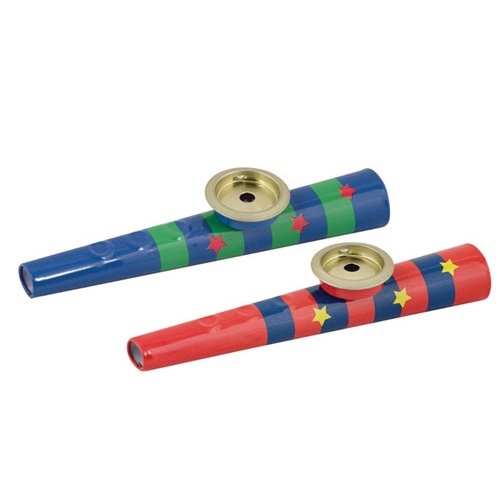 So it's simply a kazoo. What Mood Is Your Ring In? 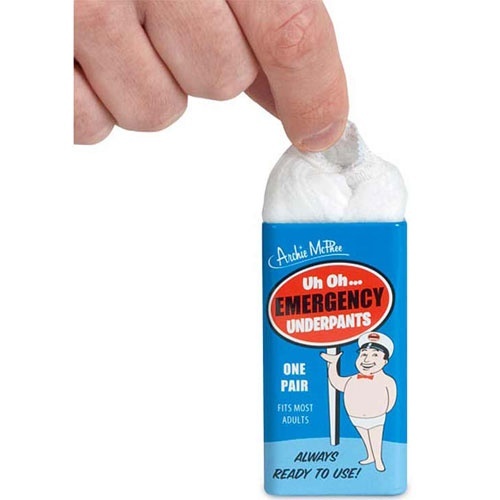 Emergency underpants in a can. Says it all, doesn't it? Quite stretchable in a Tyvekish white fabric, "one pair fits most adults." They're hip-hugger, semi-bikini, translucent type drawers, so despite the smiling man wearing them and a red bow-tie on the can, some (insecure) guys might find these just a touch jeune fille-ish. "Safe, Sanitary, Secure." Says so right on the 3" x 1-1/2" x 2/3" flip-top metal can. Better buy (3) in case of a long weekend. Or singing suppositories. 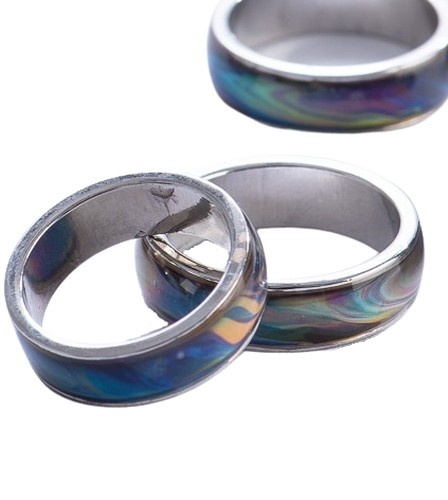 The pair is very magnetic, whatever they are. 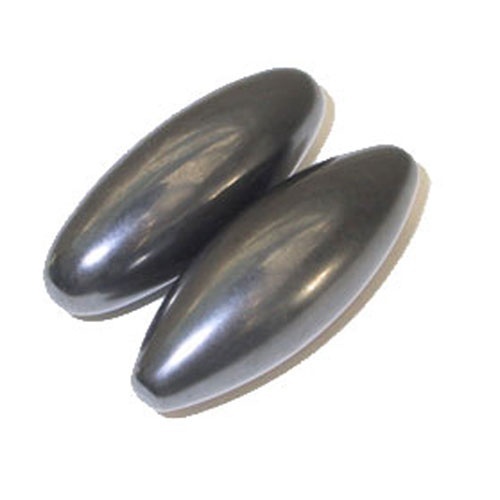 The 1-3/4" long oblate spheroids look like highly polished black hematites. Hold them an inch apart in your palm, toss 'em into the air and listen to them make a sound like the cyber-crickets. Or an electrocuted chicken. 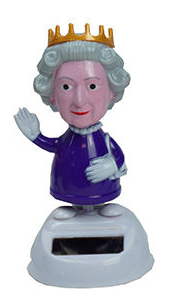 The manufacturer suggests keeping these mega-magnets away from computers, pacemakers, TV sets and credit cards.